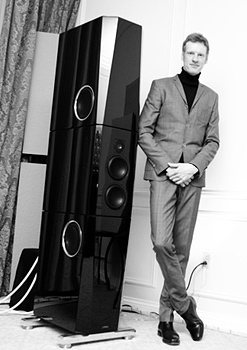 " ... Janczak completely indulges in his dream of creating the perfect speaker. Nothing embodies that passion as much as the Sunray does. I take a seat in the demonstration room and simply hear music. The most amazing thing is the homogeneity of the Sunray's performance devoid of even the slightest trace of strain. It sounded like the perfect two-way monitor, only without any trace of compression and with substantial and deep bass that, on the other hand, leapt from the speakers fast and as light as a feather. 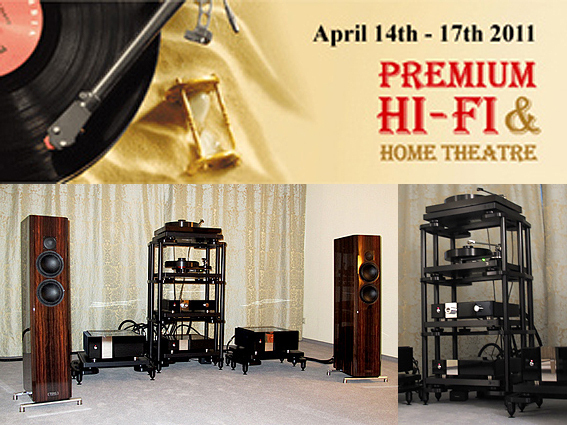 … To build the finest speaker systems in the world: Janczak is perfectly serious about his quest. And, he's not just talking big, indeed I wonder whether he's not reached that supreme goal already with the Sunray. …In fact, one cannot grasp the "sound" of the Piano Diacera, let alone try to describe it. It is the perfect reproducer, communicator, message carrier: whatever is fed into the speaker is projected 1:1 into the listening room. … Conclusion: I have never heard any speaker that reproduces music any more clean, homogeneous, intact or open than the Sunray - this is under each and every aspect an uncompromising component that also invites and enables the listener to learn. What about the Piano Diacera, then? Truly, it should be compared with nothing else but its illustrious next of kin. If the rest of the system is up to the task, the Piano Diacera projects any recording session completely unfettered into the listening room. 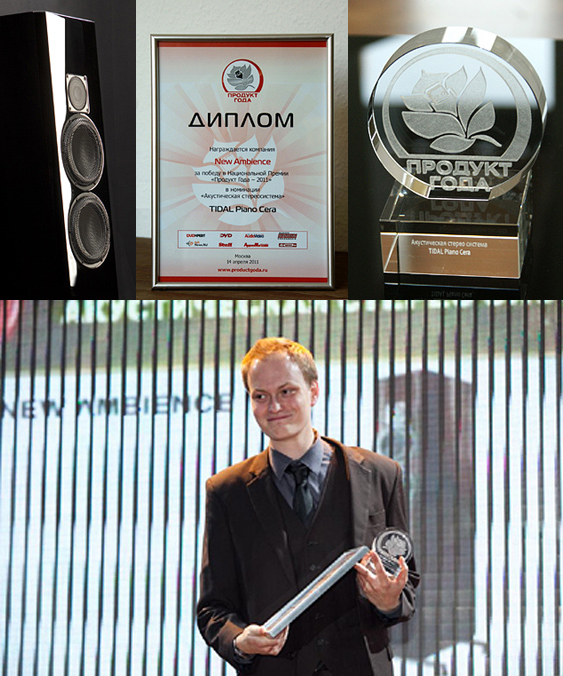 Parallel to the "Consumer Electronics & Photo Expo" and the "Premium HiFi-Show" the popular award "Product of the Year 2011" ("Produkt Goda 2011") was awarded in Moscow. 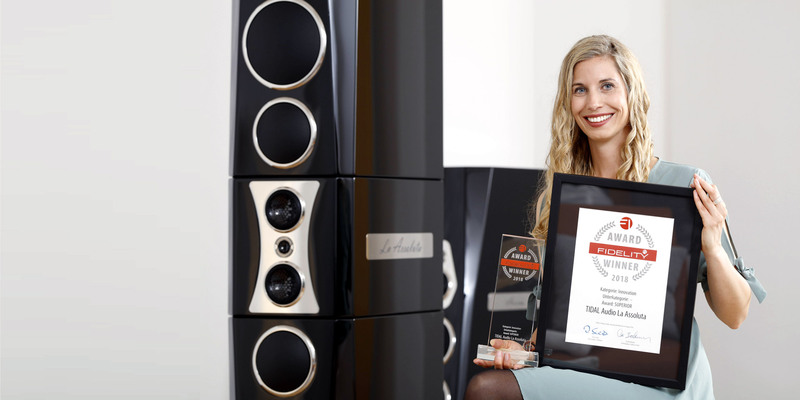 The TIDAL Piano Cera was chosen as "Product of the Year" in the category 'loudspeaker'. Due to it's acoustical performance and it's outstanding overall quality the Piano Cera was chosen by eight independent magazines like the "Audio Magazine", "HiFi News" and "Audio-Video". On behalf of TIDAL, Jan-Felix Droemer (production manager) proudly accepted the price at the award ceremony at the first day of the show. We are especially delighted that the Piano Cera won this award since it is for TIDAL "just" the entry level floor standing speaker in our program and in many ways very special to us. Our setup included the recently awarded TIDAL Piano Cera, driven partly active by the TIDAL LPX, the TIDAL Preos, two TIDAL Impact stereo amplifiers and two turntables. The TIDAL room was rated one of the greatest highlights of the show by press and visitors. 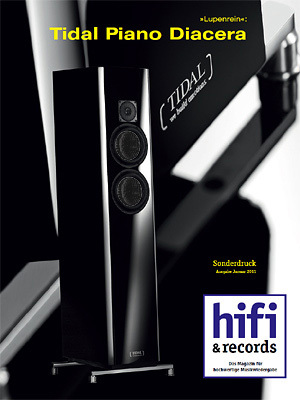 "Germany's TIDAL Audio proudly displayed the Sunray loudspeaker, an assault on the state of the art. The TIDAL Sunrays are simply beautiful-sounding loudspeakers. 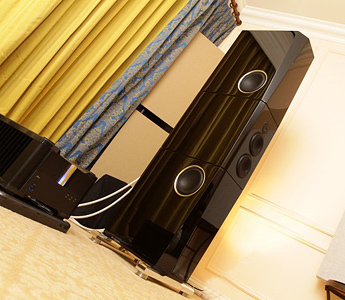 I heard two pairs of Sunrays at CES 2011 (they were playing in two different rooms), and their strong points were clear: holographic soundstaging, three-dimensional imaging, and seductive musical subtlety, particularly in the high frequencies. I was struck by how much depth-of-stage they could reproduce; they made me want to get out of my seat to mingle with the performers." "...“Go check out the Constellation Audio room,” said Jon Iverson. So I did. As I entered the room filled with unworldly looking gear I spied Michael Fremer, engrossed in one of his famous mix CDs, burned from his vast vinyl collection. Michael, ever the gentleman, relinquished the sweet spot to me and both of us took in some big, clean, transparent sound. Driving a pair of TIDAL speakers was Constellation’s Hercules amplifiers, which are each able to put out a kilowatt of juice into 8 ohms and runs its first 250W in class-A. Internally the amps mechanically float the sensitive signal carrying parts. That attention to vibration damping could be heard as stillness and ease, particularly when I played a high-resolution file of Robert Silverman playing the final fugue from Brahms’ Variations on a Theme by Handel. My time in the Constellation room was stellar." 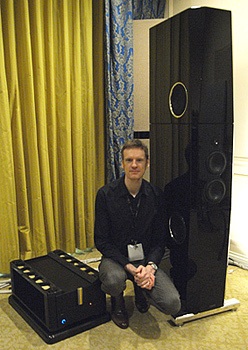 "In prior Show reports, we have photographed TIDAL's Jörn Janczak standing next to his speakers. But as Jörn stands 6' 8' in his socks, I made him crouch by the Sunray. So you can get an idea of how big this bi-amped speaker really is. 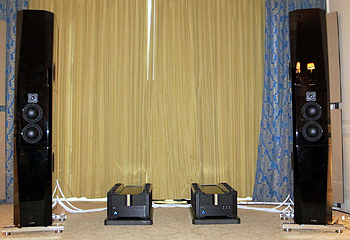 As at the 2010 CES, the rest of the system included two BAlabo 500Wpc stereo amps, and the BAlabo BD-1 24/192 DAC. Preamp was the BAlabo BC1 and the source was the Blue Smoke music server. Cabling was by Argento. 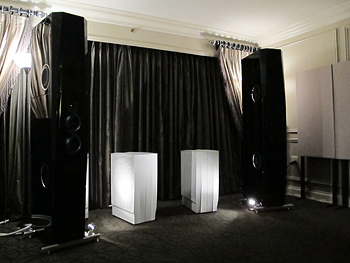 I listened to a recording that many were playing at CES, piano/bass/drums jazz from the German Tingvall Trio, and was impressed by the effortless sweep of full-range sound produced by this admittedly very expensive system. " "Next we walked across the hall to hear the TIDAL Sunray. Electronics were from BAlabo -- I’d never heard them before. Again, we were treated to a sonic presentation that was fully the equal in quality of the two previous rooms, with bass that was deep, powerful and tight, a midrange that was palpable, and a top end that was clear and delicate." "In some ways, the TIDAL line of speakers looks quite conventional and some of the materials they use may seem common. But when you hear TIDAL speakers, you know there's far more going on under the surface than might be obvious to casual onlookers. TIDAL Audio's founder and chief designer, Jörn Janczak, worked in Germany operating CNC machines before starting TIDAL, and the precision involved in that type of work is certainly evident in the loudspeaker company he helms today. TIDAL's speakers are built solidly and finished impeccably, particularly the piano-gloss finish that Janczak feels is the very best in the world. But their beauty isn't only skin deep. Some of the inner workings, especially the crossover technology, might be not only unique but also groundbreaking. "The TIDAL Sunray (including the active x-over "TIDAL LPX" and internal passive pure silver foil crossover) and BA Labo electronics were another top performing system. Used in this rig were the BA Labo DAC BD-1, Control Amp BC-1, and Power Amp BP-1 MkII. The Sunray is an amazingly controlled speaker for its vast size and in a smaller environment. I enjoyed both the Constellation and BA Labo electronics with the Sunray, but both systems were extremely pleasing. The Sunray was one of my top three large floor standing speakers at both shows. 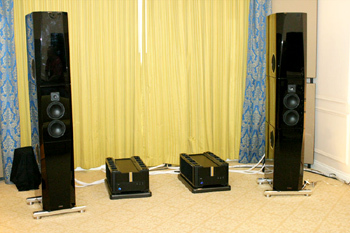 Michael Fremer from Stereophile magazin voted the TIDAL Sunray as "Best Sound of Show" at the CES 2011 (listed in no particular order with 4 another fine setup's), in both setup's we showed: with BALabo and with Constellation. 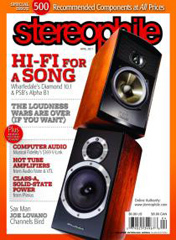 Please feel free to read more about his show report of the 2011 CES in the April issue 2011 of Stereophile.